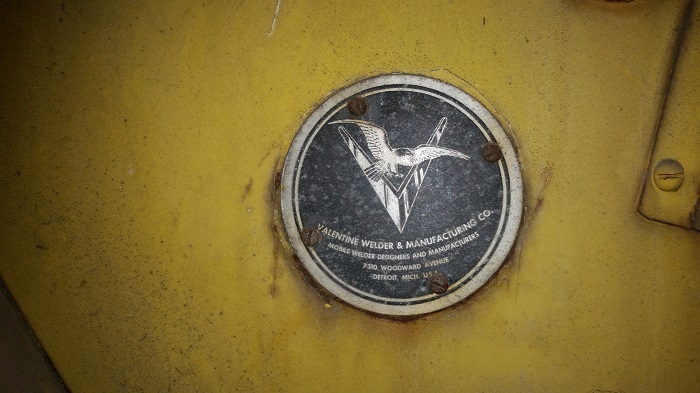 Hey warbird enthusiasts, my name is Nick and I have something that might spark your interest. 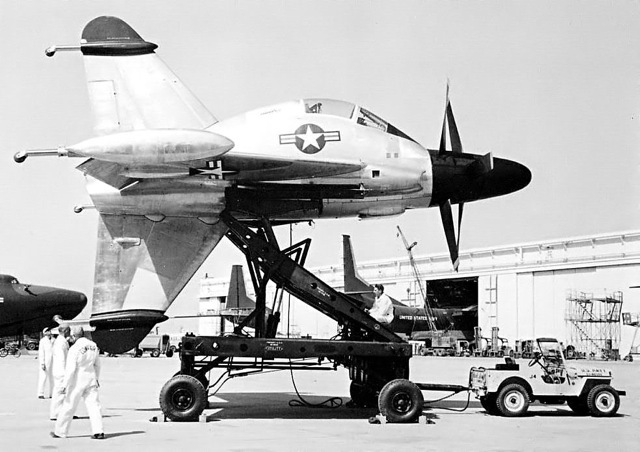 After WWII when the US military began producing jet aircraft, they were primitive and did not include on-board starters. 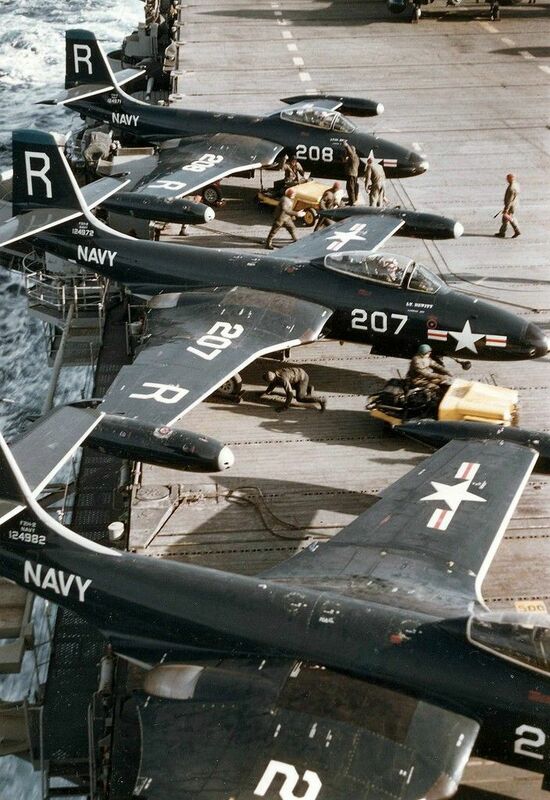 These jets were pushing the edge of technology. It quickly raised the question: What could be used to run across aircraft carriers, and start the jets? The answer was: the Willys Jeep. 4-wheelers were the standard 4x4 Willys to be used on shore side bases. It kept the large body, windshield, and large tires. O.E. 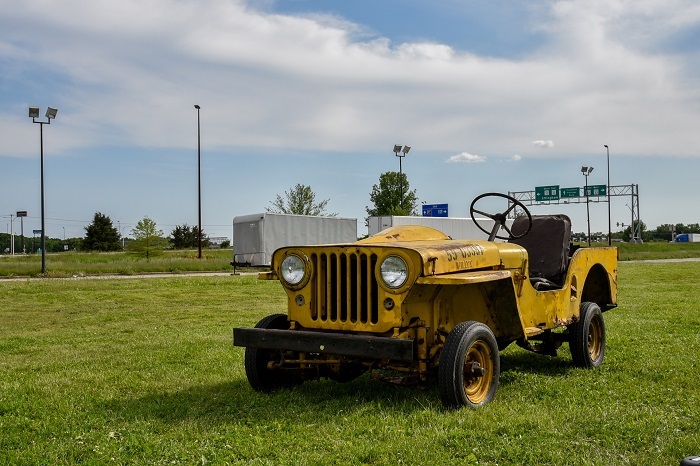 Szekely was a company that produced these Jeeps from 1946 to the late 50's. 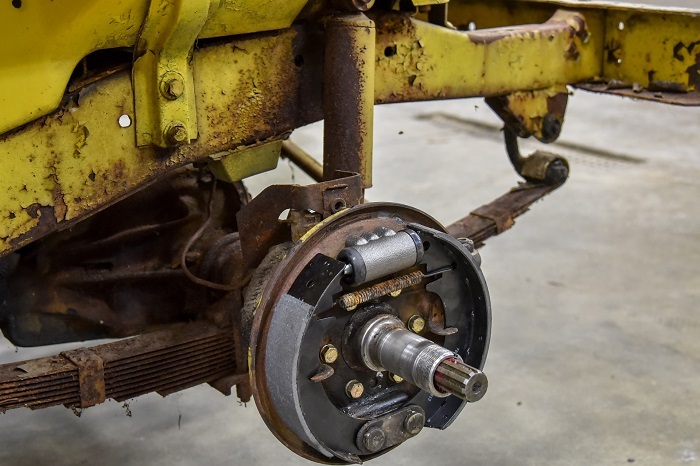 They purchased chassis from Willys, and added the PTO-driven generator off the back of the transfercase. 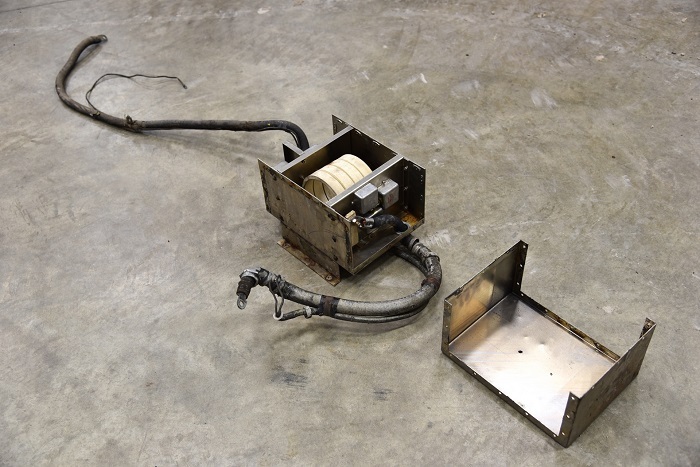 It powered the electrical equipment that hooked into the jets. 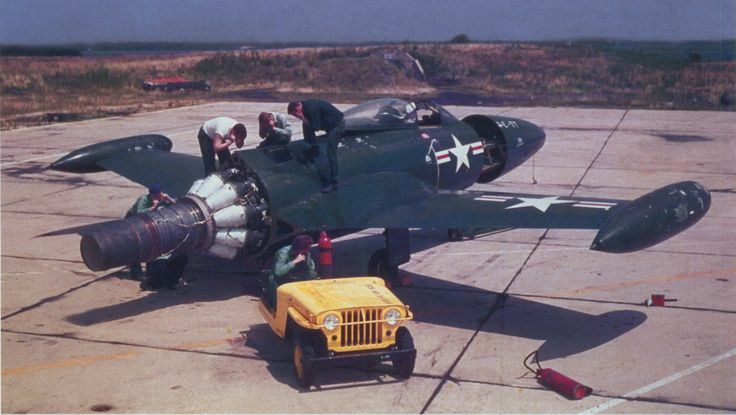 Some jets I've seen in photographs being started by Jeeps are: F9F Couger/Panther, F11F, F9F-8T, F3D, FV-84, and McDonnell F2H Banshee. 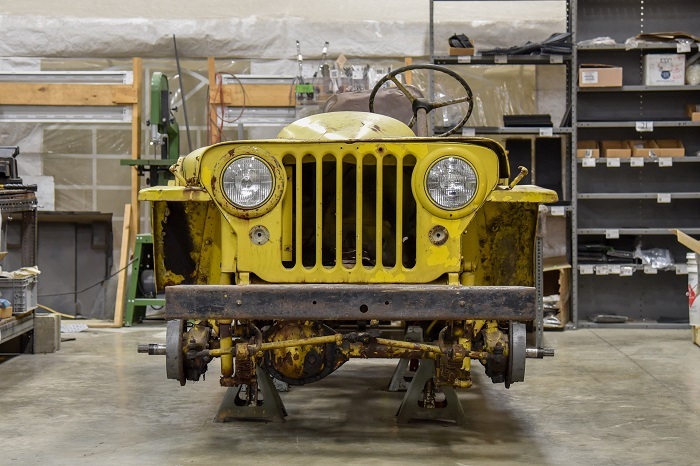 I'm a big Willys Jeep fanatic, and was unaware of this unique history. It all started when I received an email asking if I bought Willys Jeeps. 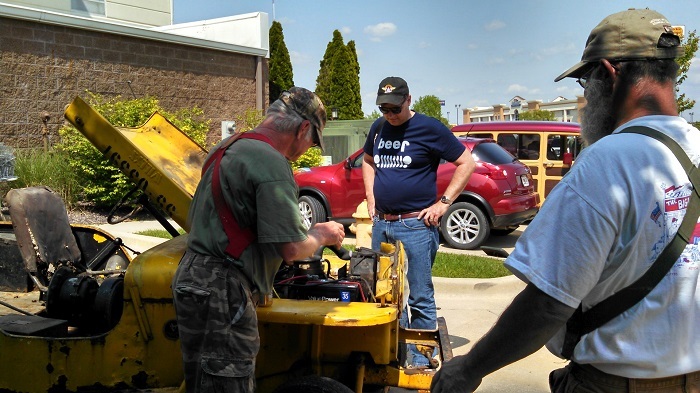 The gentleman, Jim, explained he inherited his father's "Navy Jeep" and was ready to pass it along. He sent me a picture and all I could see was some yellow paint and possibly black numbers on the hood. Boxes were pile high next to the Jeep. He claimed it was just about a body and frame. I found what little information I could on the internet about O.E. Szekely and Navy Jeeps. Not one to turn down an adventure, I was soon heading to Indianapolis, Indiana to check out what I believed to be a Szekely shell. It was January 2016, and Jim was leading me into a dark, dusty barn with flashlights as our only guidance. The moment the Jeep came into view... I knew it was special. 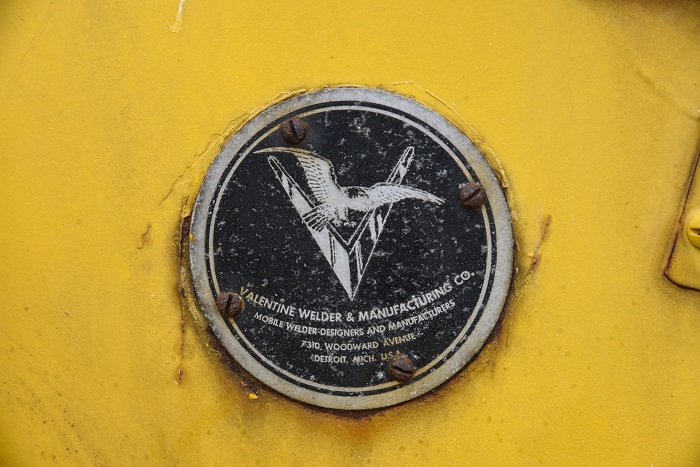 The first thing that caught my eye was the emblem on the side, it read: Valentine Welder & Manufacturing Co. Valentine, what was a Valentine? I never came across a Valentine online. Then it all began to hit me. 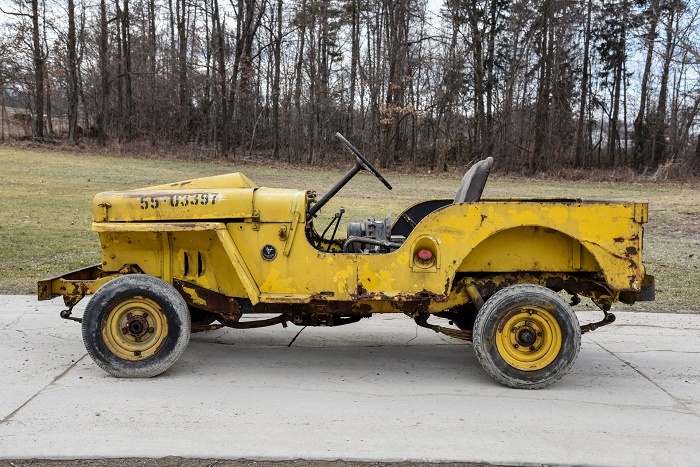 This Jeep was no Szekely, it was an unknown survivor. 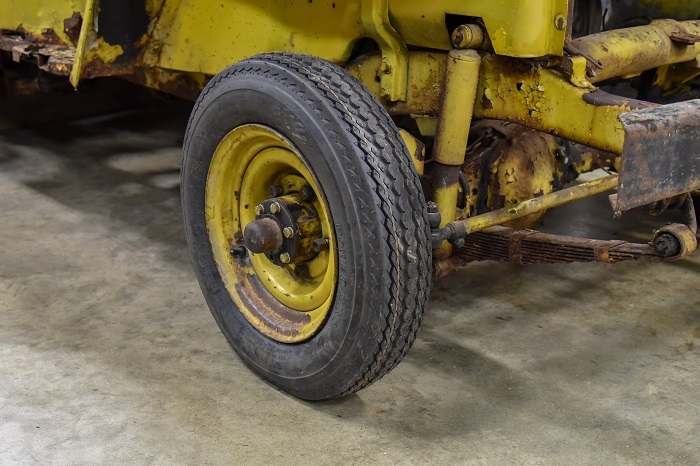 Next I noticed the small tires and worn yellow paint. It didn't have a windshield. 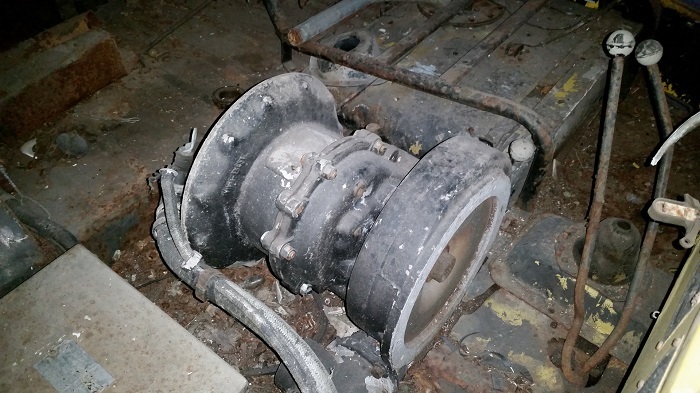 This may have been converted to be used on an aircraft carrier. The numbers across the hood were in fantastic shape. Once I peered into the tub, I saw this wasn't just a shell either. It had some equipment. So much in fact the passenger seat couldn't fit. I now know this was most of the jet starting equipment. This was a time capsule that escaped the tests of time. I had to rescue it. 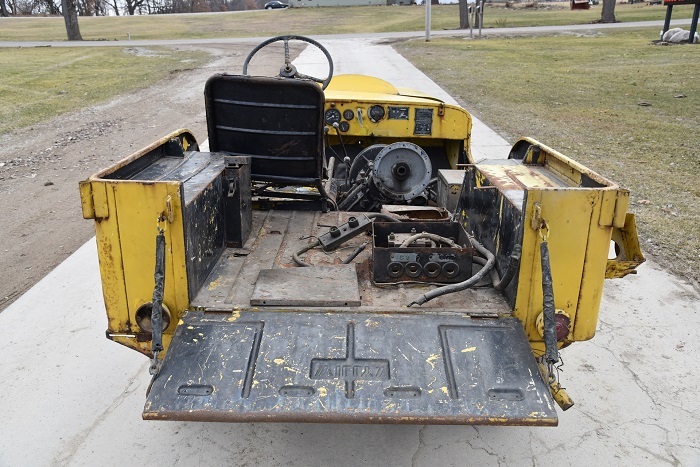 Once I brought the Jeep home in Feburary of 2016, I quickly began researching on this unusual Valentine Jeep. I began contacting people from all over the country. Willys forum members were just as amazed as I was. Everyone was excited to see a new type of Jeep surface from unknown territory, and became eager to start research. 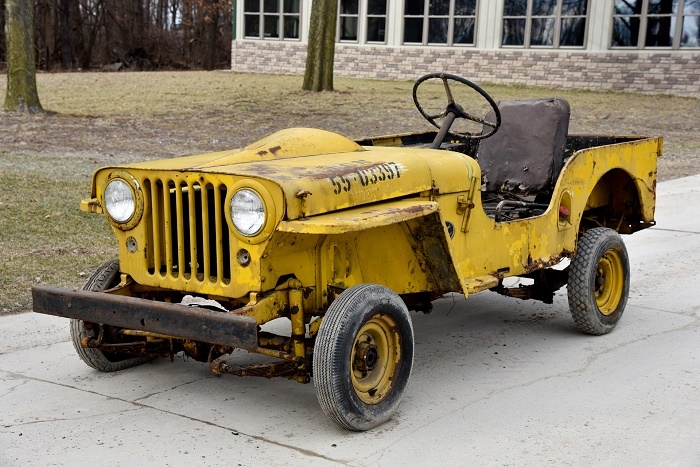 It sparked a new era of Willys Jeeps. My new buddy Tom began helping me find documentation. 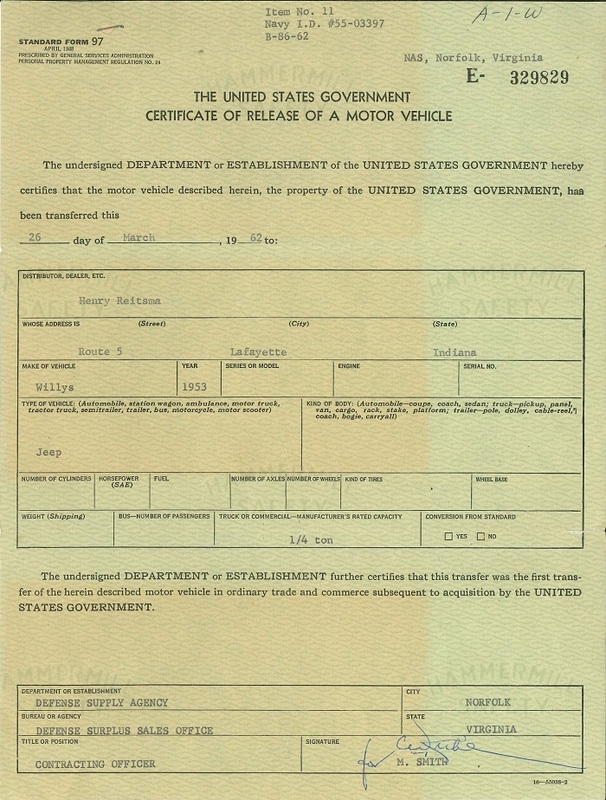 When I purchased the Jeep, I also received the original surplus paperwork from Norfolk, VA naval base dated 1962. To my knowledge, this is the only surplus paperwork known from any military Jeep to exist. Tom traveled to the National Archives in Washington, DC and uncovered the original military quote for my Jeep. This document was between Valentine and the US government. 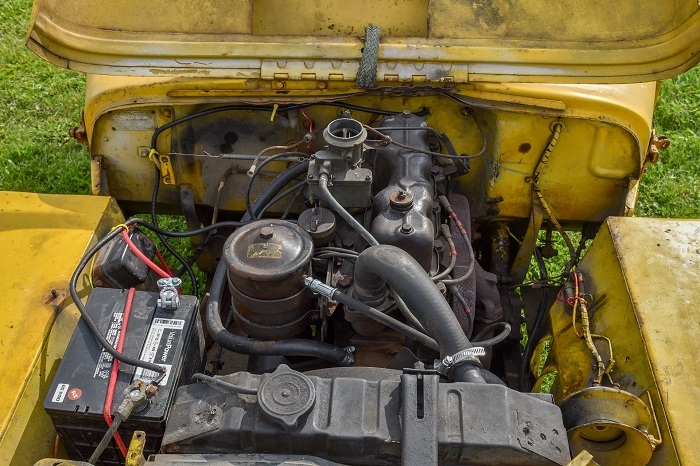 It discuss the soon to be built NA-4 (my model) APU Jeep of just 75 to be built. I own #19 of 75. 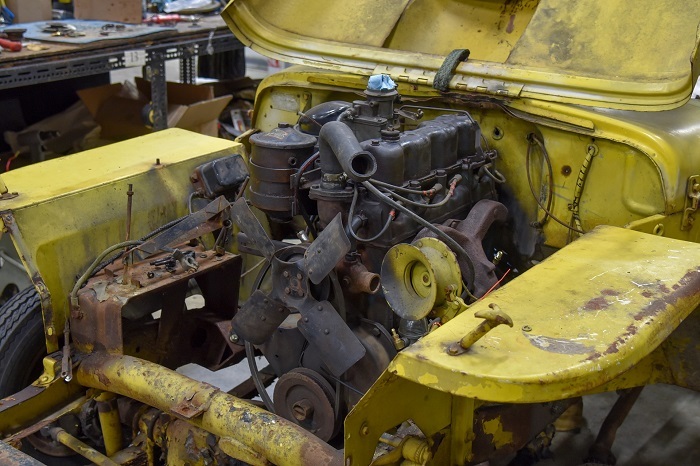 A standard Willys CJ3A in 1951 cost about $1,500 and the APU cost $4,500. Here are some pictures as discovered. 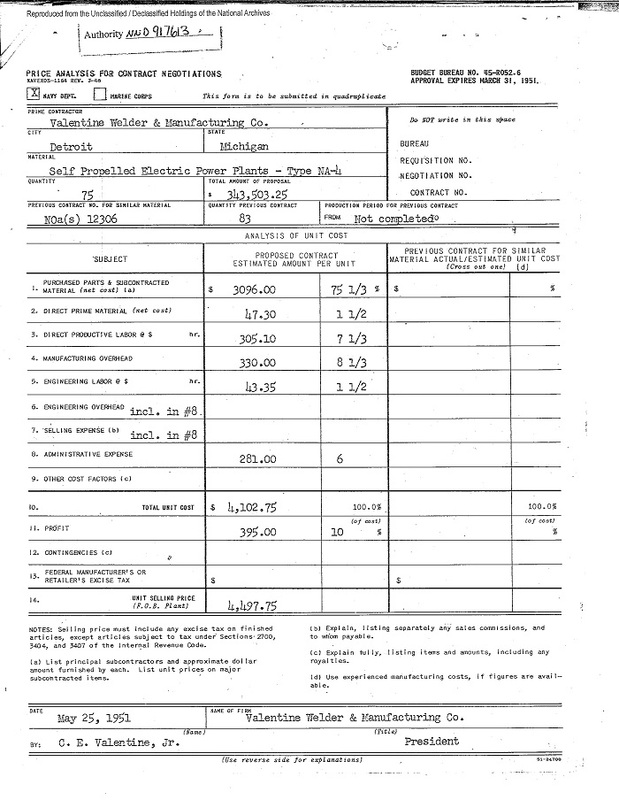 Jim's father purchased the Jeep from surplus in Lafayette, IN in March 1962. 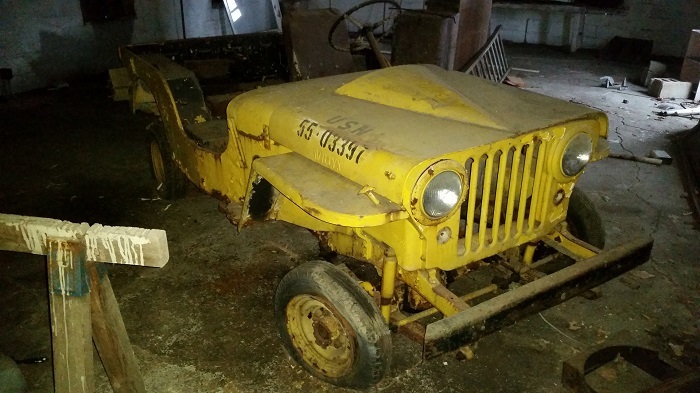 I believe his plans were to restore the Jeep as original Kaiser-Jeep patch panels sat in the back of the barn. We're lucky the project was never finished, as it left just as it was from surplus. 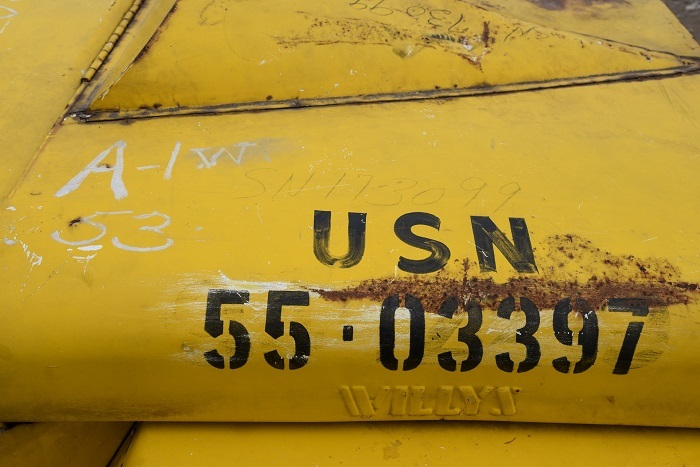 On the hood, you can see some serial number handwriting. Note the hour meter to the left of the steering column, and RPM gauge to the far right. This is special to the APU. Once I was finished at IU for the summer, I quickly got to work on the APU. 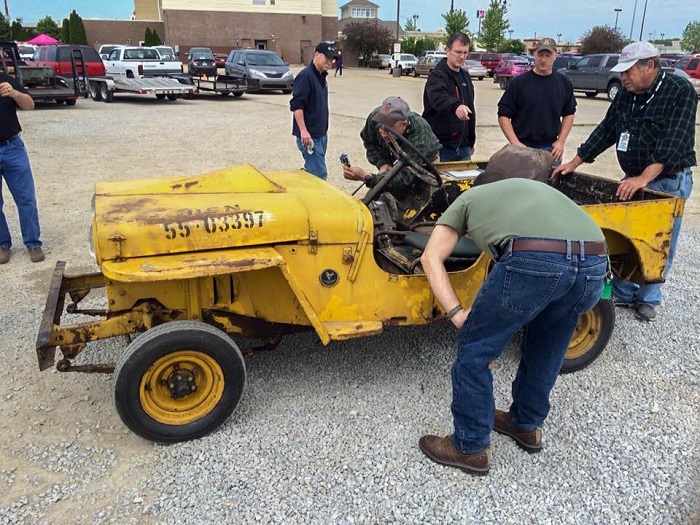 Last week I began a mechanical restoration, my goal being able to drive the jet starter around the Effingham Willys Spring Reunion. 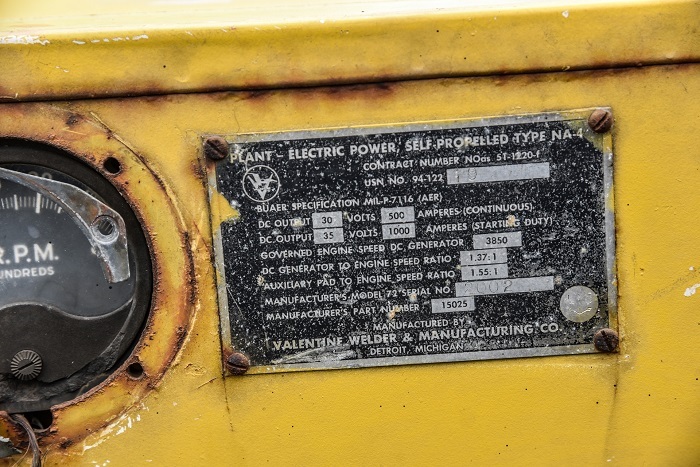 It would just be mechanical as the original paint is to be preserved. It's only original once. 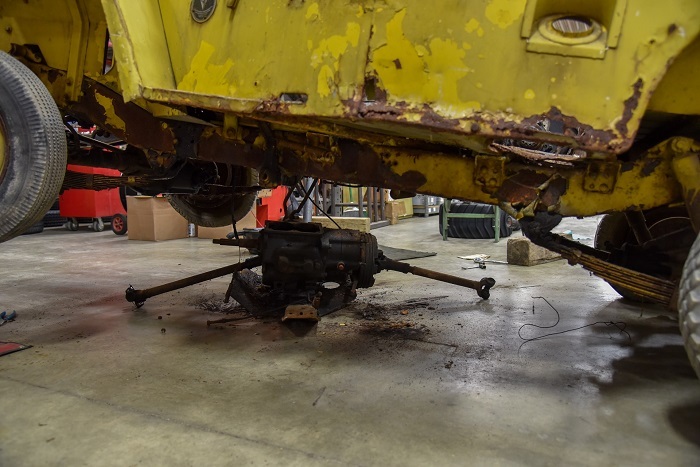 Rebuilding the entire brake system. New tires. I saved the single factory original tire it had. Last was installing the F-head "Hurricane" engine. By now you may have noticed the hotrod-style hood. This was a necessary modification to fit the overhead valve engine in the Jeep. 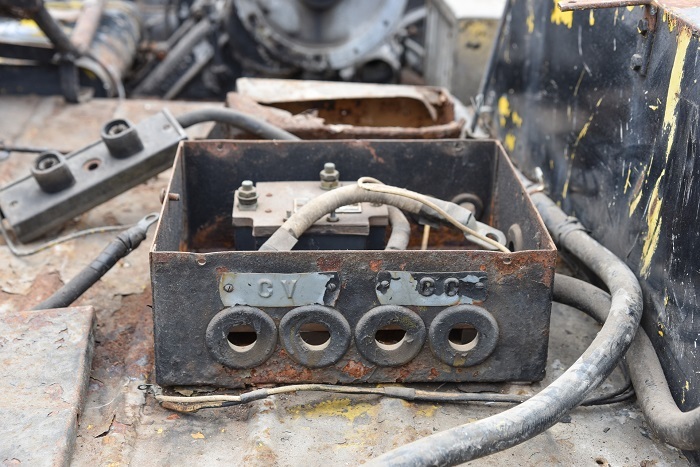 The Hurricane provided more power to run the generator system that the standard flat head engine couldn't handle. These F-heads were used in M38A1's, later to be seen in the civilian market with the CJ3B and CJ5. After working around the clock, at 8 pm on Friday I was ready to head out for Effingham. It was a 5 hour drive, and I arrived at the hotel around 2 am contemplating the meaning of life. The moment I dropped the trailer door, I couldn't have been more proud. 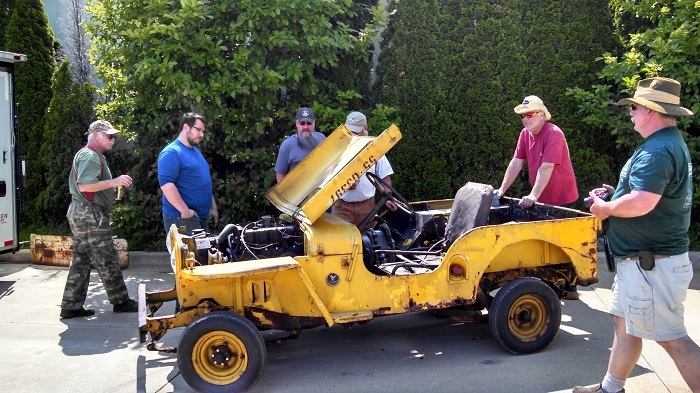 Crowds of people began to gather to see this unusual Jeep. Throughout the entire day, there was at least a few people checking the time capsule out. It was unreal. 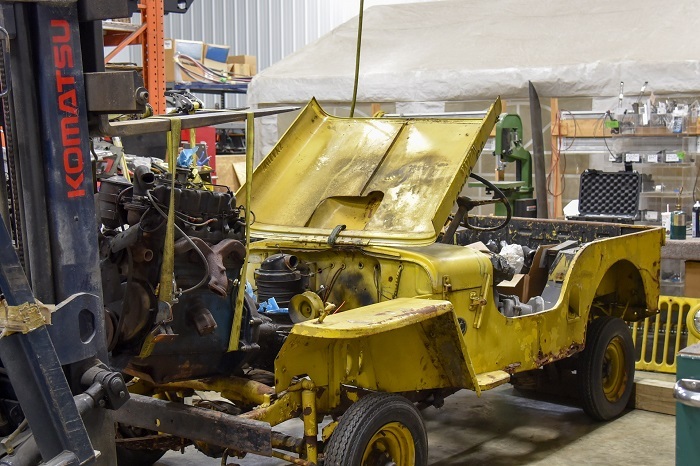 This Jeep will be featured in the June 2016 Willys-based magazine called The Dispatcher, and also the 2018 Holy Toledo calendar. At Effingham we did a little photoshoot for the magazine. 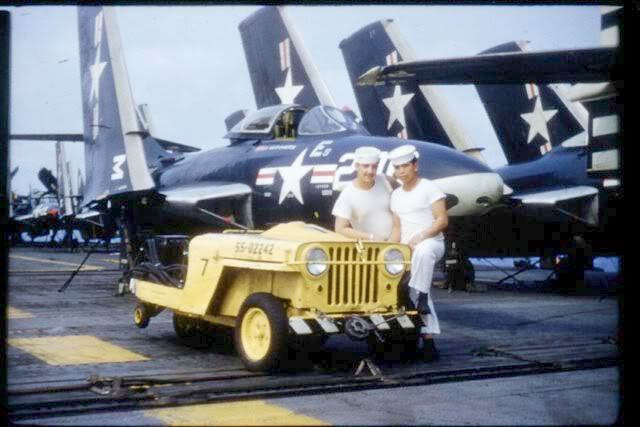 I would love to see this Jeep sitting next to a jet once again. 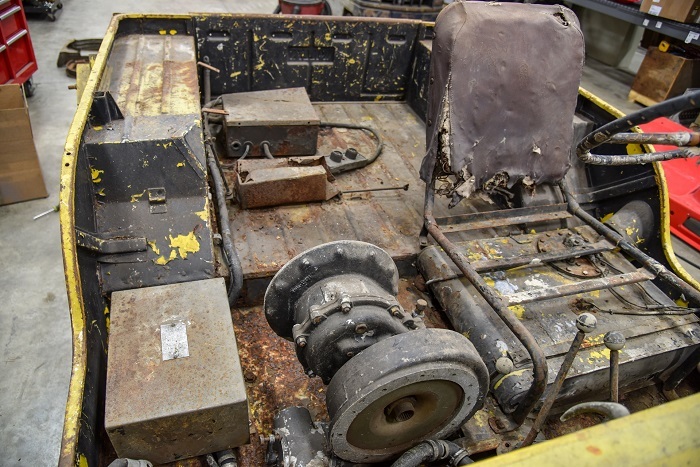 Not only is this Jeep preserved physically with the original paint and equipment, but it has the documentation to prove it is what it is. 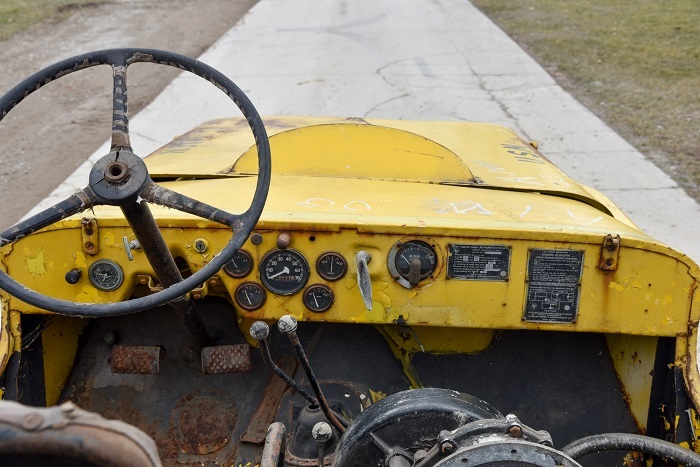 It is unbelievable that this APU was sold as surplus, and essentially parked since 1962. 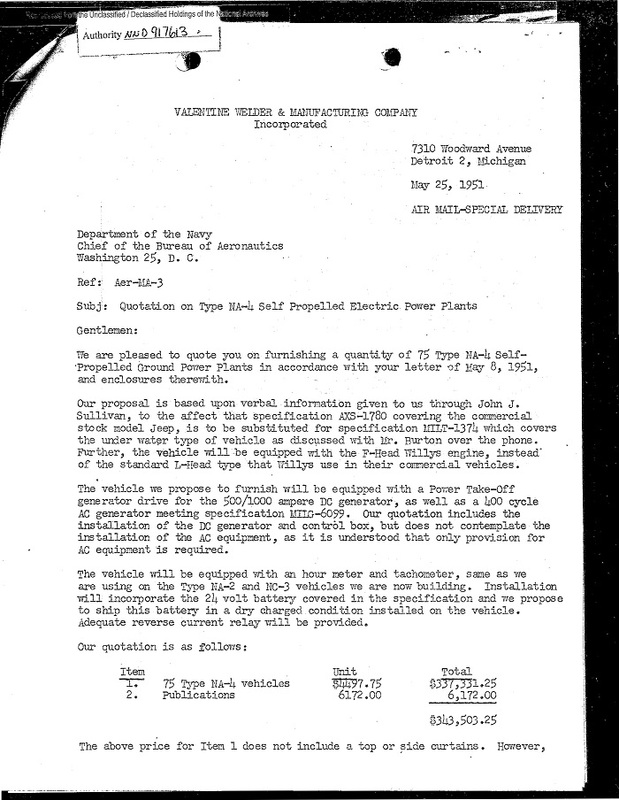 With just that single piece of paper, we know more about this Jeep than any other military Jeep I've ever heard of. 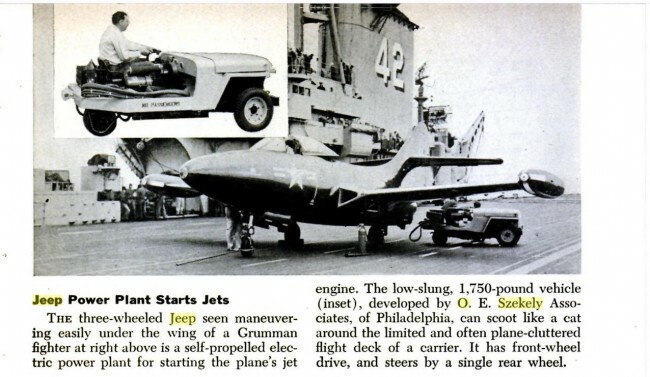 This is an important artificial not only of Willys Jeep history, but naval history and the story of the jet aircraft. Surplus paperwork just doesn't exist anymore. These APU's don't exist. But Valentine APU #19 has stood the tests of time to remain in original condition and has served as a basis for research. 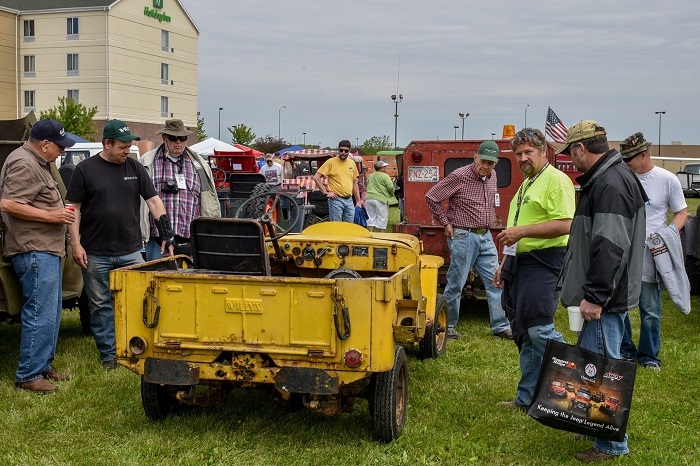 It has sparked a huge interest in the Willys community. People are beginning to uncover more info, travel to archives, and preserve previously known history. I am simply a caretaker of this artifact.